Philip Rose of Speirs & Major gave an inspiring talk about the approach the practice takes to lighting design at our recent Friday Feedback. Speirs & Major have been specialist lighting designers on a number of prestigious international projects. As well as building related projects Speirs & Major also work with branding and lighting industrial design. The practice have been working with us on the Oxford Brookes project to develop the lighting design across all areas of the project both internal and external. 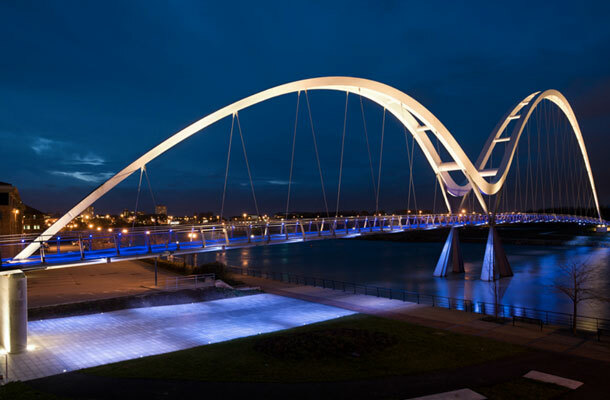 Project illustrated: Infinity Bridge Stockton-on-Tees.